Texas Electric 608 is an interurban freight trailer built in the company shops in 1921. 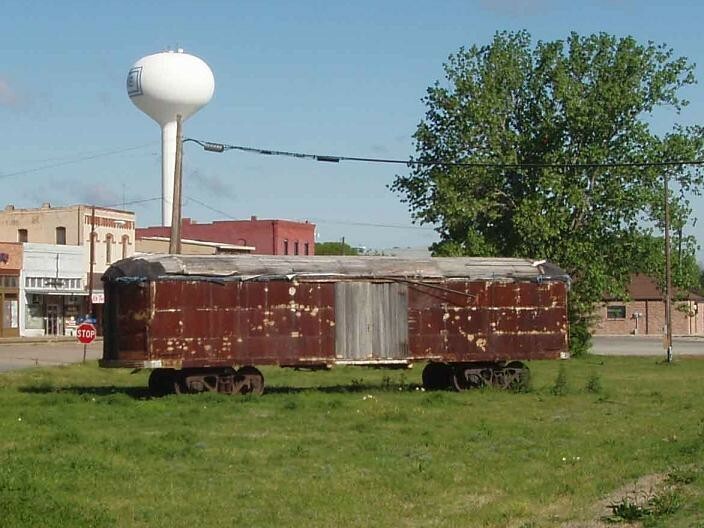 Its body was acquired in the 1990's by the city of Van Alstyne, TX, which put the car on display on freight car trucks. Photo by Jim Vaitkunas, posted with permission. Photographed by Jim Vaitkunas, May, 2009. Added to the photo archive by Frank Hicks, May 18, 2009.